Garlic masher, cookie crusher, candy cruncher, herb muddler or meat tenderizer. All purpose tool to make larger items smaller or thinner. 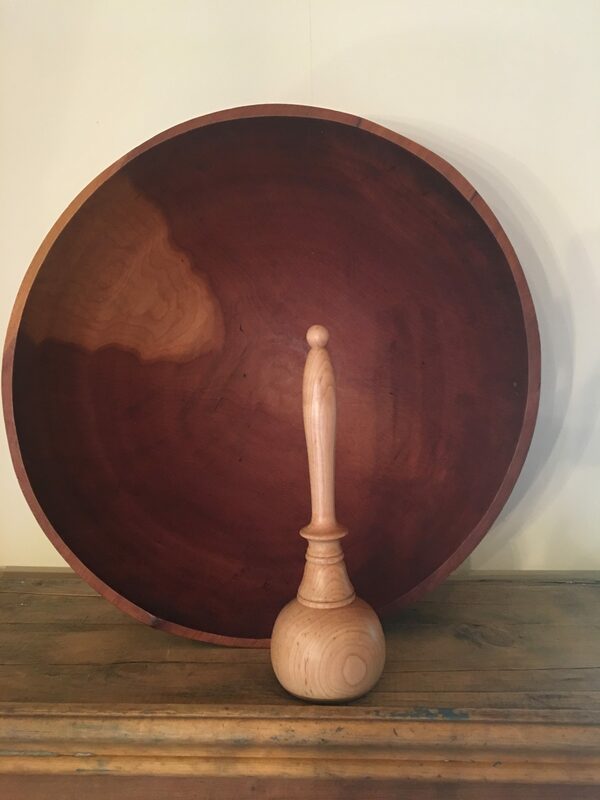 One of a kind, handmade by local wood turners. Never place a wooden item in the dishwasher. Gently hand-wash with warm water and mild dish soap. Do not allow the wood to soak in water. Dry immediately. To prevent warping, staining, or cracking and to renew the beauty of the grain, apply one or two coats of food-grade mineral oil, three or four times per year.